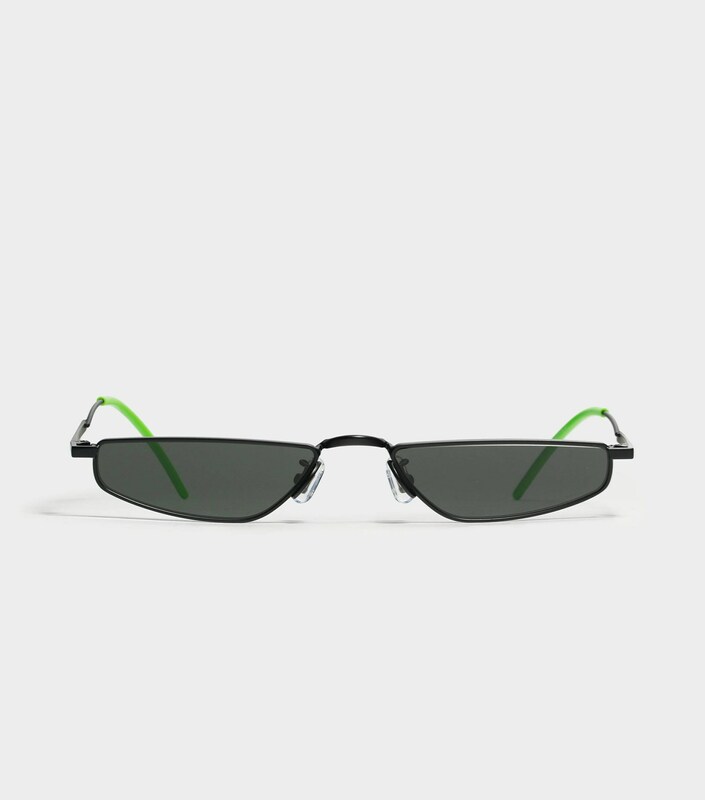 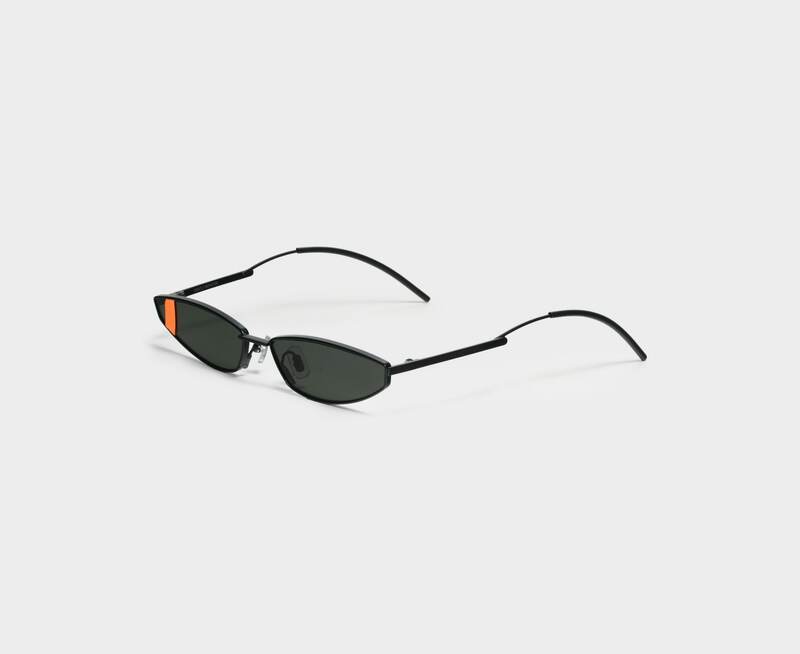 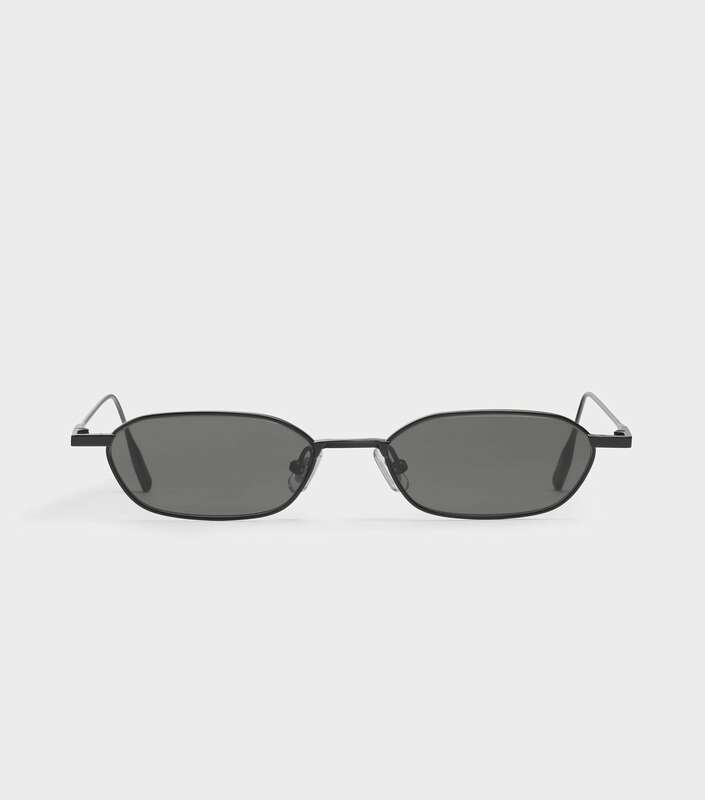 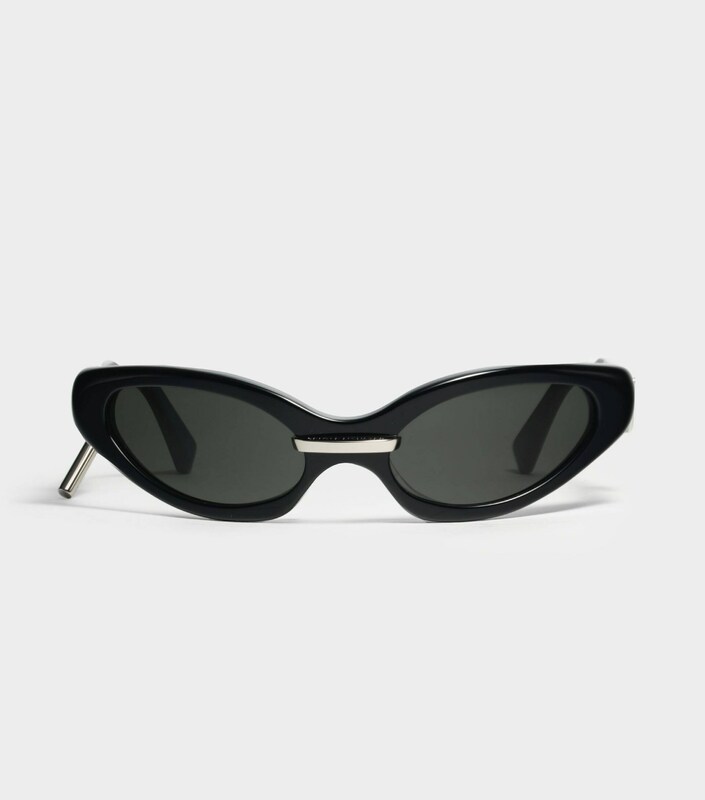 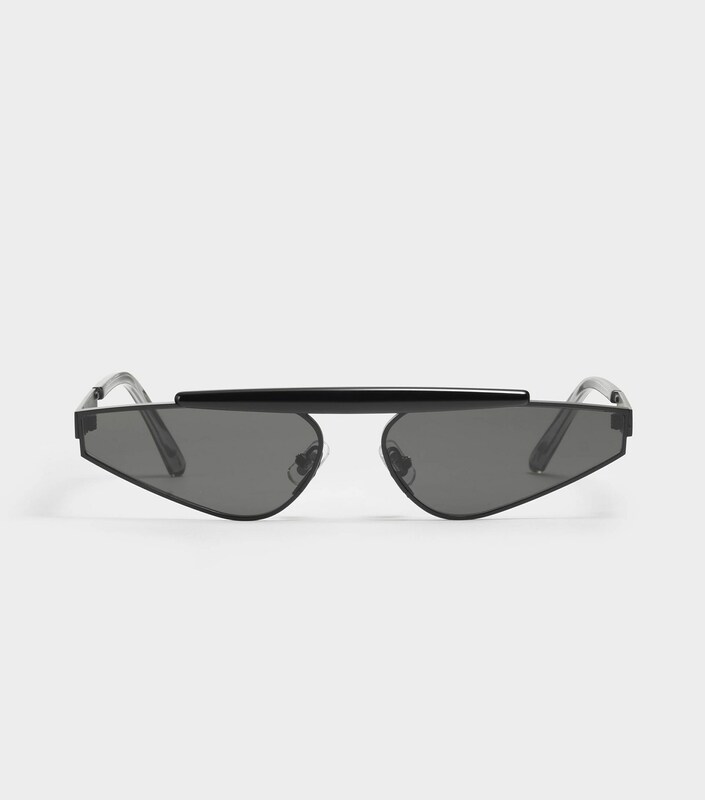 Narrow sunglasses in a matte black metal frame with a defined nose bridge. 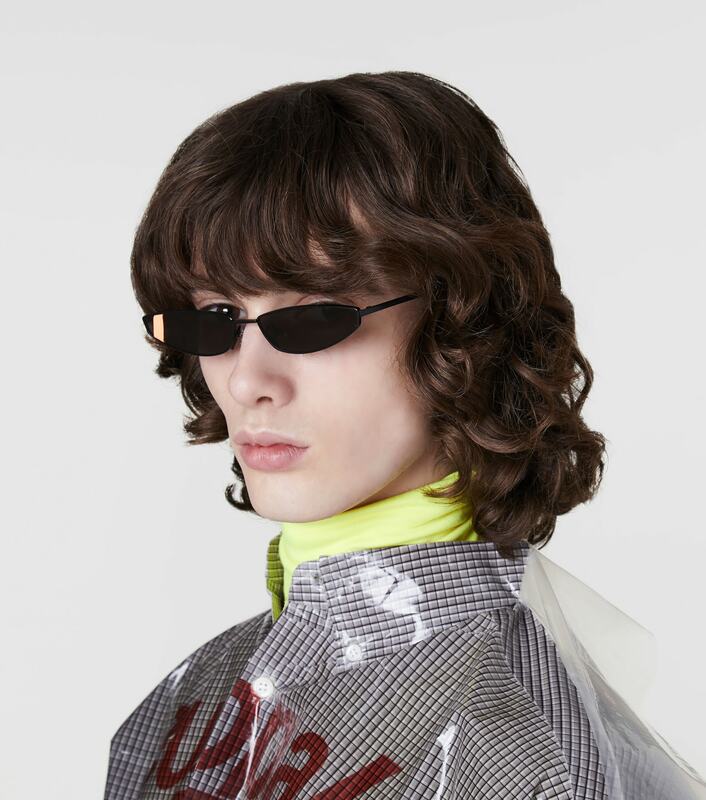 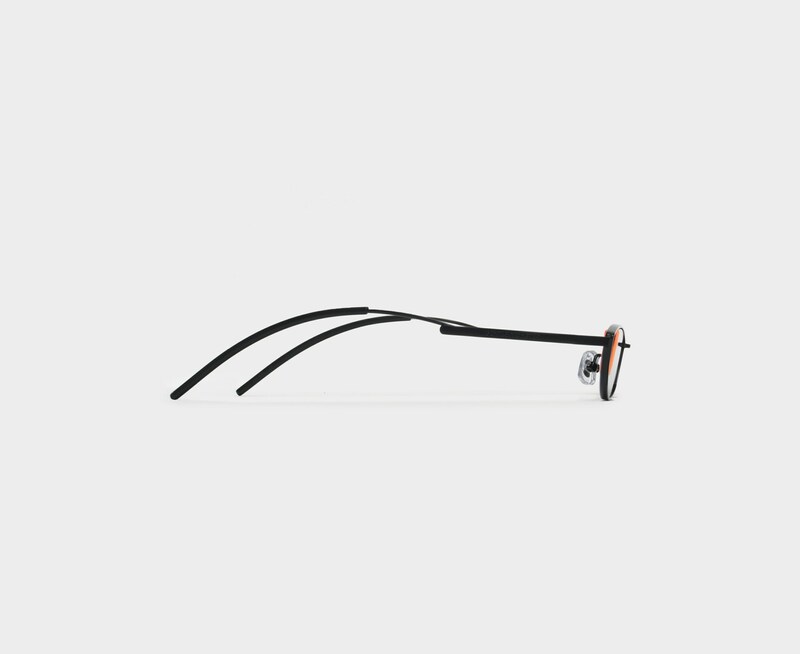 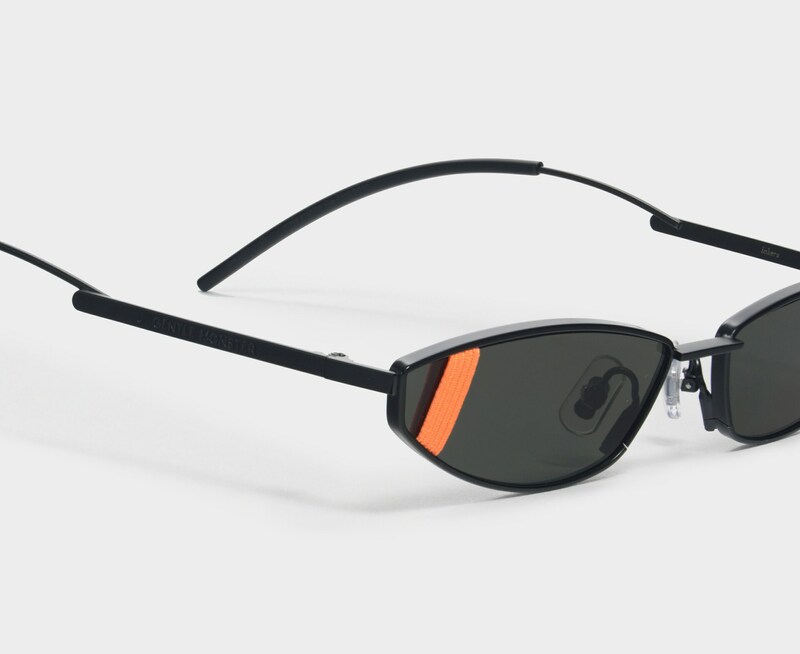 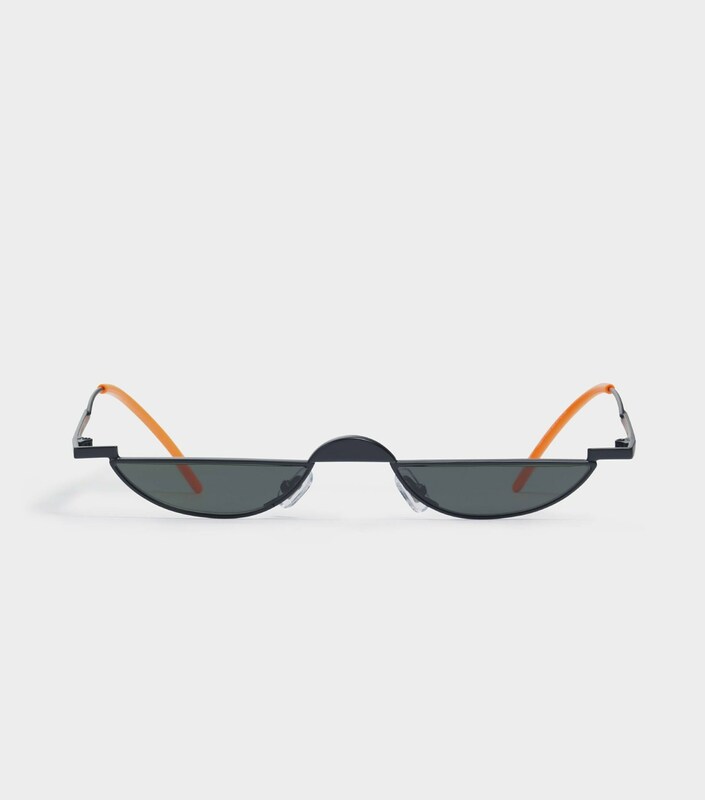 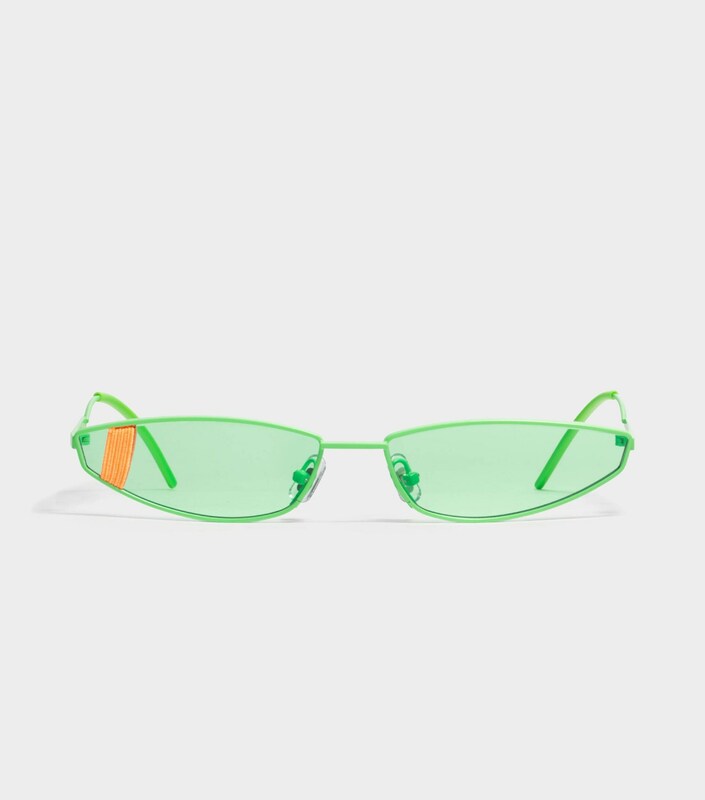 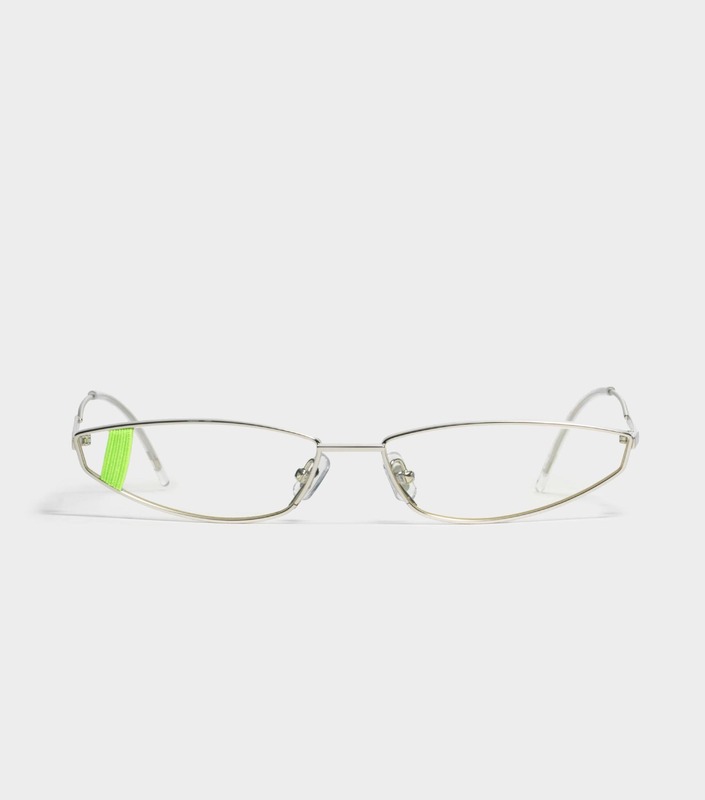 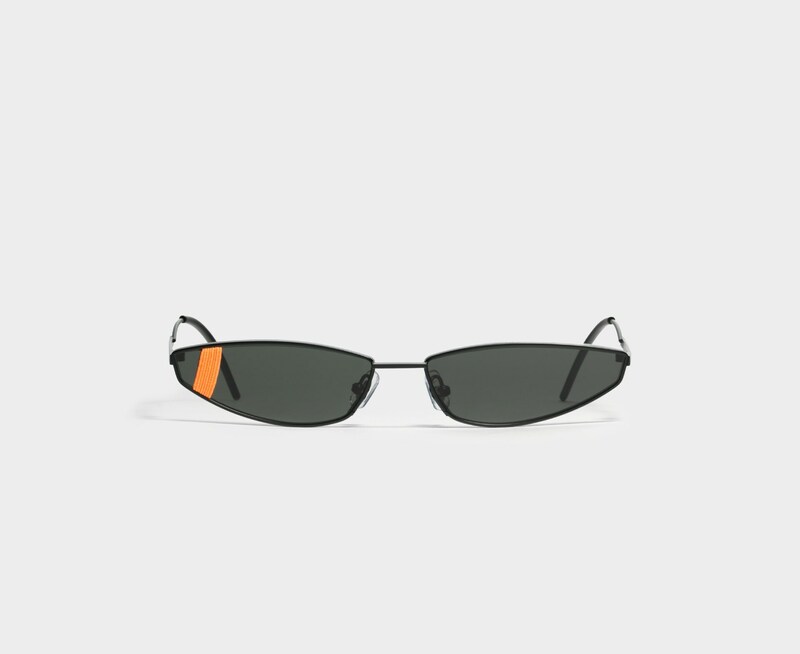 A neon orange colored band wraps around the left lens to add a bold pop of color. 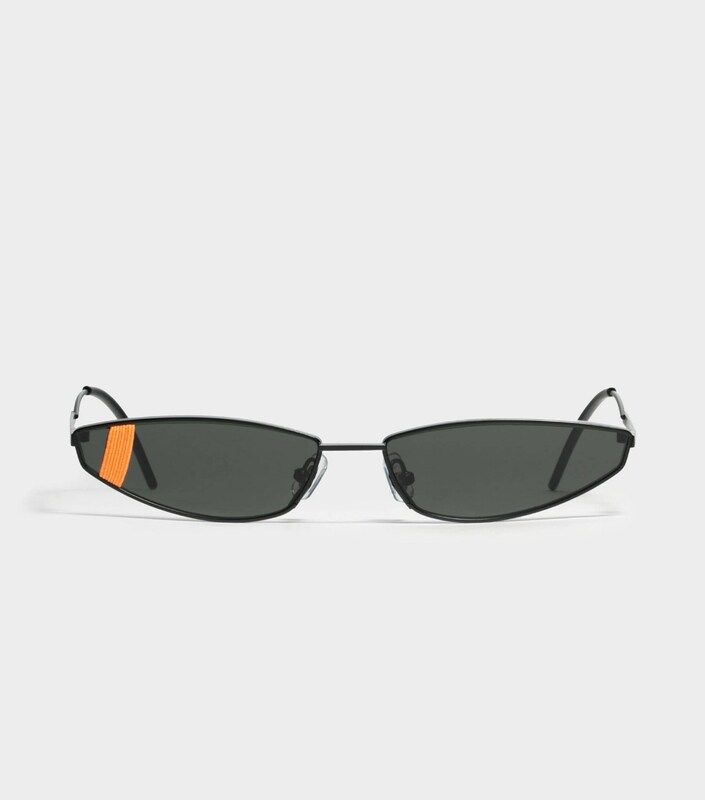 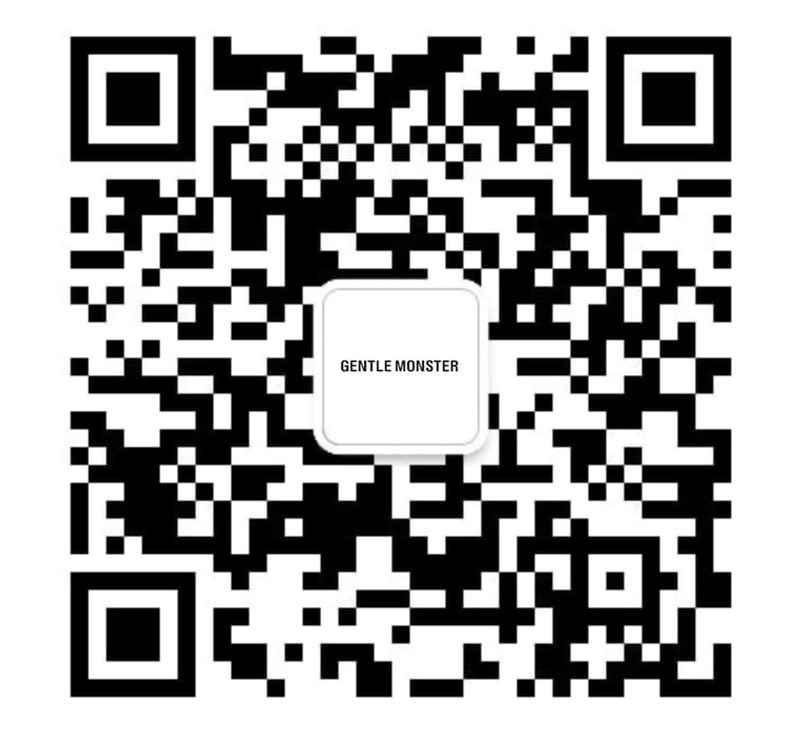 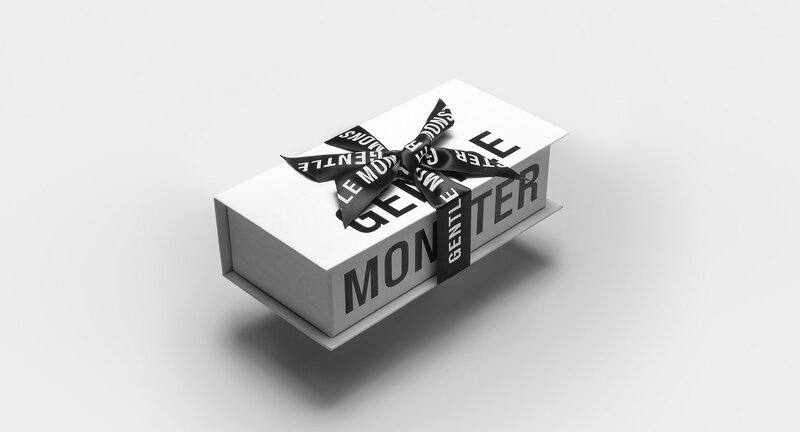 100% UV protection lenses, engraved Gentle Monster logos, and black acetate temple tips complete this pair.